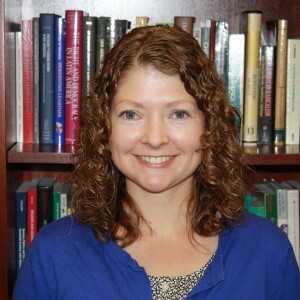 Laurel Harbridge-Yong’s work focuses on how elections, institutions, and policy are connected in the United States Congress. Her 2015 book explored declining bipartisan cooperation in Congress, changes in party strategy and the ramifications of these changes for the responsiveness of members to their constituents and for policy formation. Her current research examines legislative inaction and partisan conflict in Congress and American politics more broadly. Throughout her work, she is interested in better understanding why partisan conflict is so prevalent and what this means for members' accountability to their constituents. In American politics, legislative compromise is often seen as a necessary and desirable aspect of policymaking, yet people also value politicians who stick to their positions. In this article, we consider these conflicting expectations of legislators and ask two intertwined questions: what conditions lead people to punish legislators for not compromising (when legislative action is at stake) and, conversely, what conditions leave people more willing to overlook a legislator’s unwillingness to engage in compromise? Relying on previous research, we suggest that legislator gender, legislator partisanship, and issue area may all affect which legislators are punished for not compromising. Relying on two national experiments, we demonstrate that the extent to which lawmakers are punished for not compromising is conditional on the intersection of the three factors in this study. In general, our results suggest that people may be most willing to overlook unwillingness to engage in compromise when party, gender and issue ownership align than when party, gender, and issue ownership are at odds. Legislators’ actions are influenced by party, constituency, and their own views, each weighted differently. Our survey of state legislators finds that legislator’s own views are the strongest influence. We also find that institutions are an important source of party leaders' influence. Legislators in states where members rely more on party leaders – states without term limits, with less professional legislatures, and where the majority party controls the agenda – put more weight on leaders’ preferences. Beyond direct party influence, the views of party leaders are preemptively incorporated into legislators’ preferences when the rules of the legislature make party leaders more powerful. Scholars are increasingly interested in how partisan conflict in Congress affects public evaluations of institutional performance. Yet, existing research overlooks how the public responds to one of the most widely discussed consequences of partisan conflict: legislative gridlock. We develop expectations about how partisan conflict resulting in partisan wins, losses, and gridlock will affect evaluations of Congress, and how these relationships will differ across consensus and non-consensus issues. Results from two survey experiments indicate that partisan conflict resulting in a victory for one’s own party boosts approval relative to compromise, but conflict resulting in gridlock substantially damages approval. However, the degree to which gridlock decreases approval hinges on the type of policy under consideration. On consensus issues, citizens reward legislative action by either party—their party or the opposing party—over gridlock. At a time of a high level of polarization in Congress, public opinion surveys routinely find that Americans want politicians to compromise. When evaluating legislation, does the preference for bipartisanship in the legislative process trump partisan identities? We find that it does not. We conduct two experiments in which we alter aspects of the political context to see how people respond to parties (not) coming together to achieve broadly popular public policy goals. Although citizens can recognize bipartisan processes, preferences for bipartisan legislating do not outweigh partisan desires in the evaluation of public policies. An analysis of U.S. budgetary changes shows that, among subaccounts that are cut, Democrats make more large cuts when they control more lawmaking institutions. This surprising finding is consistent with legislators who are subject to motivated reasoning. In an information rich world, they disproportionately respond to information in line with their bias unless they must make a large accuracy correction. This paper tests, for the first time, motivated information processing among legislators. It finds evidence that Democrats engage in motivated information processing and that the effects of it are felt more on social spending and in off-election years. Does partisan conflict damage citizens' perceptions of Congress? If so, why has polarization increased in Congress since the 1970s? To address these questions, we unpack the "electoral connection" by exploring the mass public's attitudes towards partisan conflict via two survey experiments in which we manipulated characteristics of members and Congress. We find that party conflict reduces confidence in Congress among citizens across the partisan spectrum. However, there exists heterogeneity by strength of party identification with respect to evaluations of members. Independents and weak partisans are more supportive of members that espouse a bipartisan image, whereas strong partisans are less supportive. People with strong attachments to a political party disavow conflict in the aggregate but approve of individual members behaving in a partisan manner. This pattern helps us understand why members in safely partisan districts engage in partisan conflict even though partisanship damages the collective reputation of the institution. The stability of the U.S. federal budget, as a substantively important attribute and as an insight into the decision process of the legislature and bureaucracy, has led to a scholarly focus on incrementalism, defined by small year-to-year changes. However, what constitutes „small? has been largely left unspecified. Furthermore, previous research has been unable to assess incrementalism across multiple levels of aggregation. Using a unique budgetary database, we examine whether budgetary changes are in fact „small? at different levels of aggregation, finding that a surprisingly low proportion of the changes are actually small by any logical standard. Most years, more than twenty percent of budgetary changes are greater than fifty percent and nearly half are greater than ten percent. The level of aggregation is also important for assessing whether political variables influence incrementalism. We show that party control manifests in micro-level budget decisions, while divided government manifests in aggregate-level budget decisions. Is Bipartisanship Dead? looks beyond (and considers the time before) roll call voting to examine the extent to which bipartisan agreement in the House of Representatives has declined since the 1970s. The coalitions that members build around policies early in the legislative process point to a surprising persistence of bipartisan agreement between 1973 and 2004. The declining bipartisanship over time in roll call voting reflects a shift in how party leaders structure the floor and roll call agendas. Party leaders in the House changed from prioritizing legislation with bipartisan agreement in the 1970s to prioritizing legislation with partisan disagreement by the 1990s. Laurel Harbridge argues that this shift reflects a changing political environment and an effort by leaders to balance members’ electoral interests, governance goals, and partisan differentiation. The findings speak to questions of representation and governance. They also shed light on whether partisan conflict is insurmountable, and, ultimately, whether bipartisanship in congressional politics is dead. On camera interview about the case for and against term limits of legislators in the U.S.
On camera panel interview about Trump's speech to Congress. On camera panel discussion about Trump's victory and what to expect from the unified Republican majority. Interview about bipartisanship among Colorado Senators.